The role of the Communications department is to foster support for the goals and mission of the district through communication with all stakeholders. 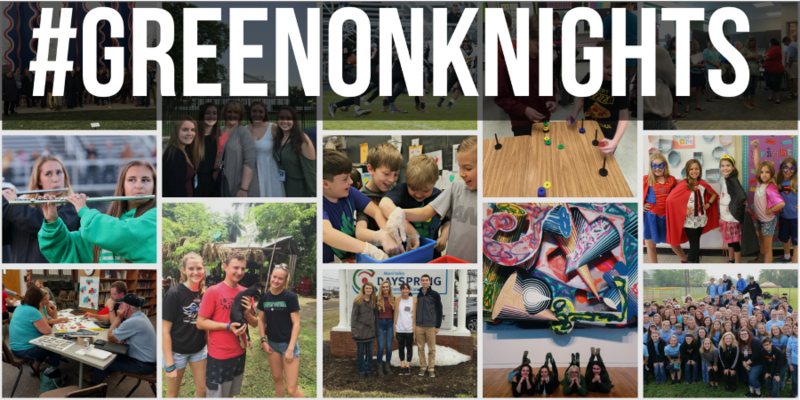 Strong relationships with families, residents, staff, community organizations, businesses and alumni are integral to the success of Greenon Local Schools. Join us on social media for daily updates about Greenon Schools and quick responses to your messages. Subscribe to receive Greenon Schools news in your inbox every month. Check out the latest Greenon news on our website. Download the Greenon Schools app for information about Greenon Schools at your fingertips! The district periodically mails newsletters or postcards to the community to share important news. If you are not receiving these mailings, please email us. Megan Anthony is the Communications Coordinator for Greenon Local Schools. Megan has five years of experience working in school communications, helping districts like Greenon share their stories with the community and keep residents informed about their schools. To submit news about Greenon Schools, email Megan at manthony@greenonschools.org. For media inquiries, email Megan or call 937-864-1202.